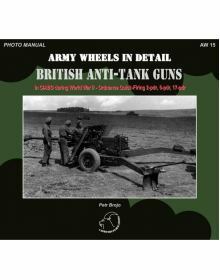 BRITISH ANTI-TANK GUNS IN CIABG DURING WORLD WAR II: ORDNANCE QUICK-FIRING 2-PDR, 6-PDR, 17-PDR. 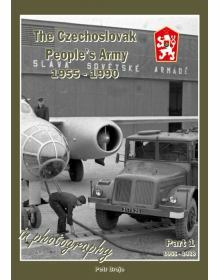 Συγ..
PHOTO MANUAL''...There are close-up colour photographs of components and some interior of the Overlo..
CZECHOSLOVAK PEOPLE'S ARMY IN PHOTOGRAPHY - Part 1: 1955 - 1968.96-page publication in English and C..
GS-WOT2A, WOT2C, WOT2E, WOT2F, WOT2H, VAN-WOT2B, WOT2D. 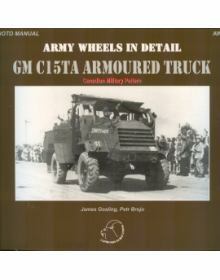 Συγγραφέας: Petr BrojoΈκδοση: Capricorn..
GM C15TA ARMOURED TRUCK - CANADIAN MILITARY PATTERN.Συγγραφείς: James Gosling / Petr BrojoΈκδοση: Ca..
Προσωρινά Εξαντλημένο. 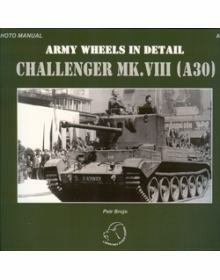 Αναμένεται νέα παραλαβή! 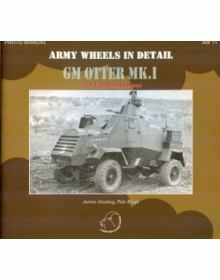 Otter Light Reconnaissance Car - Photo manual Συγγραφείς: James Gosling / Petr BrojoΈκδοση: Cap..
HILLMAN Mk.I, Mk.IA, Mk. 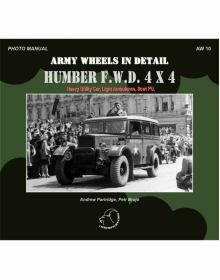 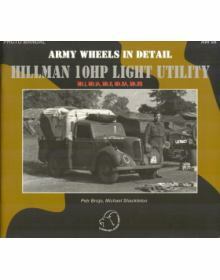 IIA, Mk.IIB - PHOTO MANUALΣυγγραφείς: Petr Brojo / Michael ShackletonΈκδοση..
ARMY WHEELS IN DETAIL series No 10: HUMBER F.W.D. 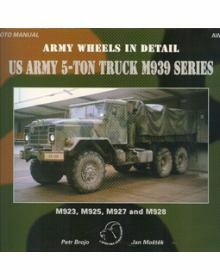 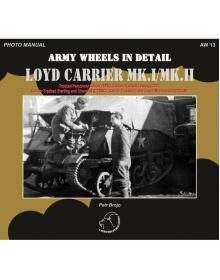 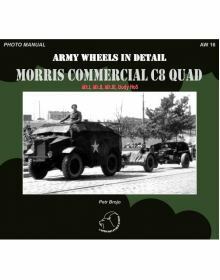 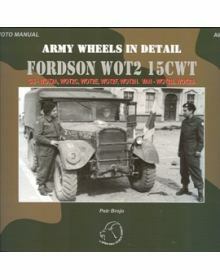 4X4 (Heavy Utility Car, Light Ambulance, 8cwt PU W..
ARMY WHEELS IN DETAIL series No 13: LOYD CARRIERTracked Personnel Carrier (TPC), Carrier Tracked Tow..
MORRIS COMMERCIAL C8 QUAD Mk.I, Mk.II, Mk.III, Body No 5 - Photo Manual. 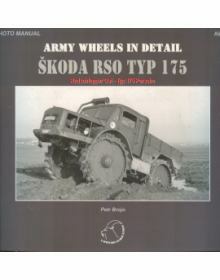 Συγγραφέας: Petr Broj..
Panzerkampfwagen Pz.Kpfw. 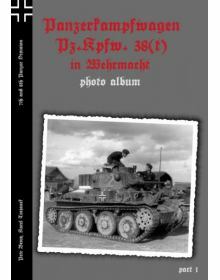 38(t) in Wehrmacht Photo Album, Part 2: 12th, 19th, 20th and 22nd Armoured..
Panzerkampfwagen Pz.Kpfw. 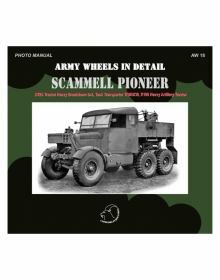 38(t) in Wehrmacht Photo Album, part 1: 7th and 8th Panzer Division.This p..
SCAMMELL PIONEER - SV2S, TRMU/30, R100. 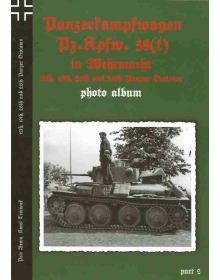 48- page publication in English and C..
Συγγραφέας: Petr BrojoΈκδοση: Capricorn (2012)ISBN: 978-80-87578-02-5Περιγραφή: PHOTO MANUAL. 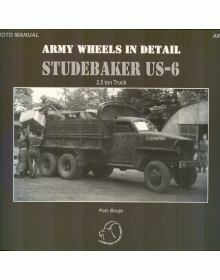 ..
STUDEBAKER US-6 2,5 TON TRUCK. 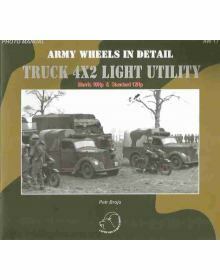 Περιεχόμενα: IN SERVICE 1941-45 WITH THE CZECHOSLOVAK INDEPENDENT BR..
ARMY WHEELS IN DETAIL series No 17: TRUCK 4X2 LIGHT UTILITY MORRIS 10HP & STANDARD 12HP.Συγγραφέας: ..
M923, M925, M927 & M928 Συγγραφείς: Petr Brojo / Jan MostekΈκδοση: Capricorn ISBN: 80-238-2079-6Περι..